Panasonic's Lumix LX3 was deeply coveted by camera nerds, a groundbreaking point-and-shoot that gave up megapixels for incredible photos. The LX5 is its sequel—and it's the first camera that might knock the S90 out of my pockets. For the third iteration in a row, it's sticking with a 10-megapixel CCD sensor—the improvements focus on boosting dynamic range and low-light performance—while adding a new Leica Lens and a revamped image processing engine. We really can't wait to see what it can do. 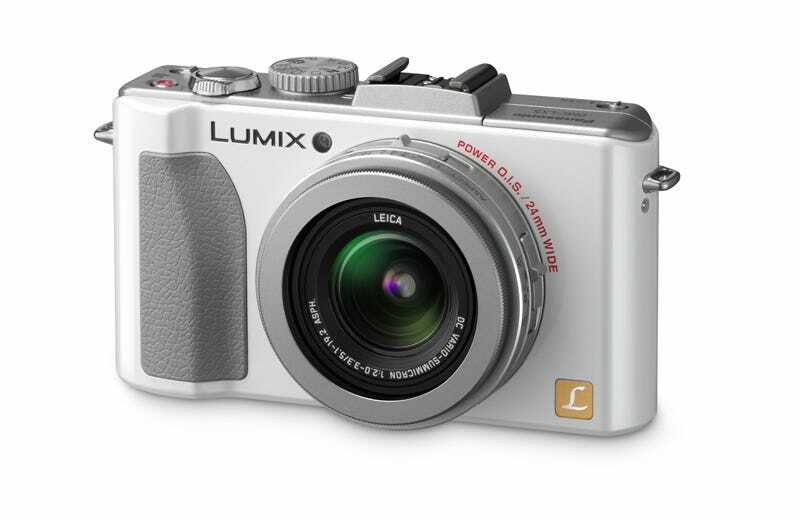 The LX5 has an F2.0, 24mm Leica lens and 3.8x optical zoom (as opposed to the 2.0 zoom on the LX3). Video maxes out at 720p, but it'll look awesome on the new screen—which uses a high color rendering index backlight LED for better color reproduction and visibility in sunlight. In addition to the new insides, the LX5 has some improved features over the LX3, too, including more advanced image stabilization, creative movie mode, and face recognition. It's picked up some some ergonomic improvements along the way, including a jog wheel and a snazzy new white color option (though of course the traditional black is still available). The beefed-up LX5 will go on sale late August for $500. Full details below. "The Panasonic LUMIX LX-Series cameras have been extremely popular models for us with professional and enthusiast photographers, who understand and value the superb image quality such a compact, affordable digital camera can offer," said David Briganti, Senior Product Manager, Imaging, Panasonic Consumer Electronics Company. "We expect the same enthusiasm, if not more, for the LUMIX LX5, which features improvements to the lens and processing – resulting in even better images." • The 3.0-inch large 460,000-dot high resolution Intelligent LCD also redesigned by adopting High CRI (Color Rendering Index) backlight LED to greatly increase the color reproduction, making it more visible both in shooting and playing back images in any conditions from at dark night to under bright sunlight. • Battery life is extended to shoot 400 photos (CIPA) per a single charge. • A wide-variety of accessories, including a Live View Finder (DMW-LVF1), External Optical View Finder (DMW-VF1), Wide Conversion Lens (DMW-LWA52), Conversion Lens Adaptor (DMW-LA6), MC Protector (DMW-MC52), ND Filter (DMW-LND52), PL Filter: DMW-LPL52, External Flashes, Leather Case (DMW-CLX5) and a Battery Pack (DMW-BCJ13). Panasonic is pledged to practice prudent, sustainable use of the earth's natural resources and protect our environment through the company's Eco Ideas programs. Company information for journalists is available at www.panasonic.com/pressroom.